A well designed par three is a beautiful sight. 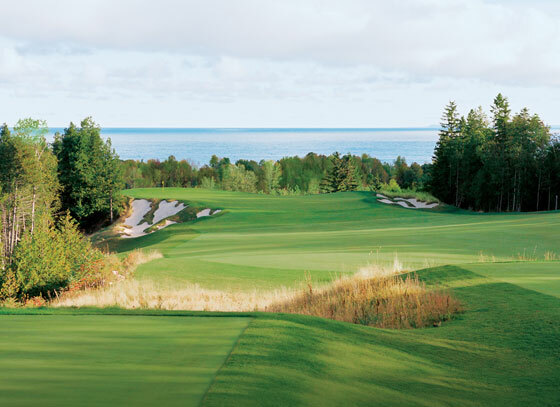 With no shortage of wonderful par threes in the greater Georgian Bay and surrounding cottage country our crack editorial team set out to accomplish the nearly impossible, and unfair task, of compiling a Top Ten List. With more than 100 holes nominated we set out to review the list and found a case could be made for a great number of them deserving of Top Ten consideration. However, after much animated discussion, bargaining, negotiations and near donnybrook our committee managed to pare the list down to 10 but it was but no means unanimous. Any hole in the 50’s could just have easily been in the top ten and vice versa. The only holes that we all definitively agreed upon were our top three selections. 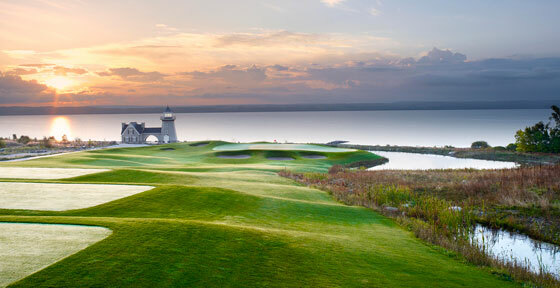 With Georgian Bay as the back drop the third at the Georgian Bay Club is one of the most scenic holes in Ontario. Both sides of this severely sloped green are protected by cavernous bunkers with anything struck long finding jail. Add in the fact that the winds are usually gusting across the left of the false fronted green complex, it is not only one of the prettiest holes it is also one of the toughest. The wise player will ignore the pin position and play for the green centre below the hole and putt towards the edges. A missed green in regulation here will almost certainly result in an over par score. 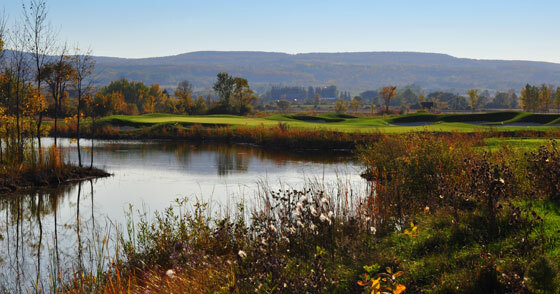 With a backdrop of the stunning waters of Owen Sound framing the hole, the penultimate tee shot at Cobble will test your nerve. This short-to-mid iron shot must find its way to a green site that is wide, shallow and steeply sloped. A formidable ridge splits the putting surface producing two distinctive landing areas for shots. 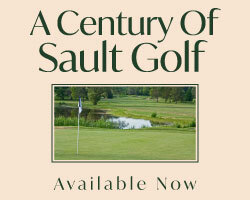 Find yourself on the wrong side of the pin or in one of the nasty fronting pot bunkers and par might only be a dream. Playing from an elevated tee the approach shot must travel across a valley replete with wetlands and pond right with a collection of fronting bunkers climbing up to a false fronted green complex that is built into the opposing valley wall. Majestic pines surround the hole on all sides creating one of the most beautiful holes in these parts. A spine bisects the green back-to-front allowing for only the bravest and purest of shot access to the back right pin position. Coming up short will leave the toughest of sand shots from one of several cavernous bunkers. Bailing out left is no picnic either for the resulting pitch back to the dance floor is a nasty side-hiller with the green sloping away forcing the ball to run towards the front of the green. Par here will have you gain a shot on field more often than not. One of the most uniquely designed holes anywhere. The 7th is famous for not only the challenge of the hole, but how to get from tee to green. This brute is all carry over a lake to a green jutting out from the rocky shoreline. With little room for error, any errant shot will put you in the drop area located on the floating forward deck as you drive across the floating bridge. This picturesque hole is a superb whether played from the Reds at 109 yards or from the tips at 199. Water protects the left side from tee to green and the sloping two-tiered green is guarded by two bunkers left and a seemingly endless wall of bunkers right. Proper club selection is a tricky proposition here when considering the pin location and a prevailing wind that blows into your face. 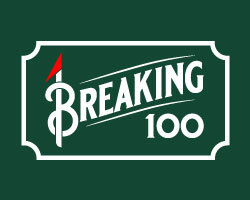 One of Thomas McBroom's early Muskoka designs presents a fine test of skill and managing your nerve. Playing to one side of a massive double green complex, a mid-iron is struck from the side of a granite faced hillside to the green protected right by spruce trees and on the left by a bunker, shear fall off and OB. The multi-tiered green makes a three putt a reality if you are not careful in attacking the pin. 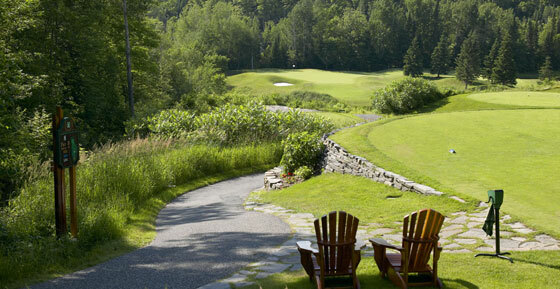 Before you finish your round with the iconic backdrop of the log cabin clubhouse at this Muskoka beauty the final of the challenging par 3's must be safely navigated. The forced carry across cross of a formidable wetland with a hybrid or long iron is the first step in the journey toward par. Avoiding the huge bunkers surrounding the hole and conquering the slopes and swales of the green complex is no easy feat. A par here is a prideful accomplishment. This superb design demonstrates that a short course can also be mighty and that at only 6000 yards this diminutive layout is no pushover. This mid-length par 3 epitomizes that character. Playing uphill the green is framed by a granite rock face behind, trees right, and deep treacherous bunkers left. The green has a considerable false front making an extra club off the tee a wise choice. Pay notice to the pin position as this green has more humps than a herd of camels. Situated on a valley floor with wasteland left and a forest right there is no margin for error here. A long iron or metal wood will be the club of choice on the approach shot from the elevated tee to a green complex protected by a large bunker front left and another long right. The putting surface is tricky to figure out with hard breaking putts and slippery down-hillers if you get above the pin. Lora Bay is a brilliant co-design by Thomas McBroom and Tom Lehman that will test every shot you have in your arsenal with every club in the bag. Played from any tee deck this beast of a three par will test your mettle. An approach from right-to-left is preferred to avoid the pond banks that stretch from tee to green and a pair of nasty bunkers short left. Swirling winds makes club selection difficult while the undulating green complex will test your green reading skills. Birdies are rare on this hole.